Thank you for your service in Vietnam sir: may you rest in peace. This guy really wanted to burn his bridges. Palin didn't spit on McCain the way Trump has . . . but, at the same time, she has become a shameless shill for The Donald. And we don't know what may have passed between the two of them privately. Seems there was no love lost. You know McCain was going to ask Joe Lieberman to be his running mate but his "advisors" talked him about of it because lieberman was a moderate democrat, and, even more unappealing to many of the deep red state republican voters, a ewJ-ay. I wonder of Mccain didn't want the mama grizzly at his funeral or that was his family's idea? Anyway, this is a tribute to him. Palin was the only reason he ever got remotely close to the presidency. Palin was the main reason why he lost the election imo. I'd have to go with El Misfit. Palin seemed to derail his entire campaign and was his achilles heel thoughout. According to a Washington Post/ABC News survey published on September 9, 2008, John McCain had gained huge support among white women voters since the announcement; he had not only surpassed the Democratic Party candidate Senator Barack Obama in white women voters, but also amassed a lead of five percentage points in the Gallup polls. John Zogby found that the effects of Palin's selection were helping the McCain ticket since "She has high favorability numbers, and has unified the Republican Party." https://www.realclearpolitics.com/epolls/2008/president/us/general_election_mccain_vs_obama-225.html obama had him beat all along, but he did get a boost and a brief lead from Palin. 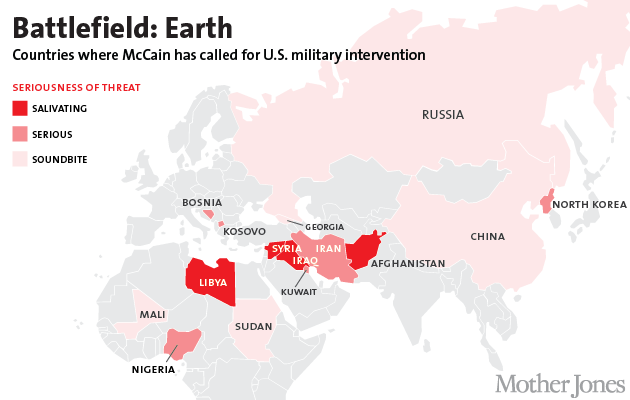 And I think after seeing Palin show off herself, people might have questioned McCain's choice. At the time of her selection, and during her speech at the Convention that year, Palin seemed like a breath of fresh air and boosted the ticket for a bit. But, really, 2008 was going to be a Democratic year, and frankly, I knew the minute we nominated McCain we were going to lose (did the GOP learn NOTHING from Dole vs. Clinton 12 years earlier??). When you put old and grumpy up against young and charismatic, young and charismatic wins every time! But Sarah Palin was not the joke in 2008 that she became in later years. I do think, the more people saw of her, the less many of them liked her. But initially, she did draw in some support. From what I have heard, though, she and McCain never really connected and grew more hostile towards one another as time went on. i'm with alex and misfit , palin is why he lost so much support. my inlaws are a great example of this, SHE was the reason they abstained from voting. While the left respected senator mccain and his family during and after his last days, the right has shamelessly attacked him after death. When can honor him while scrutinizing his record. He was the greatest flunky the various war lobbies ever had. the interventions in Iraq, Syria and Libya were utterly devastating and empowered jihadists in ISIS and Al Queda who I personally see as our mortal enemy above all others.